As we import the material we use for our cabins we thought why not let you buy it too! Nordic Wood import quality decking and external cladding from trusted sawmills to very competitive prices. We have chosen to use only Siberian Larch as decking as its a very durable, dense and weathers beautifully. 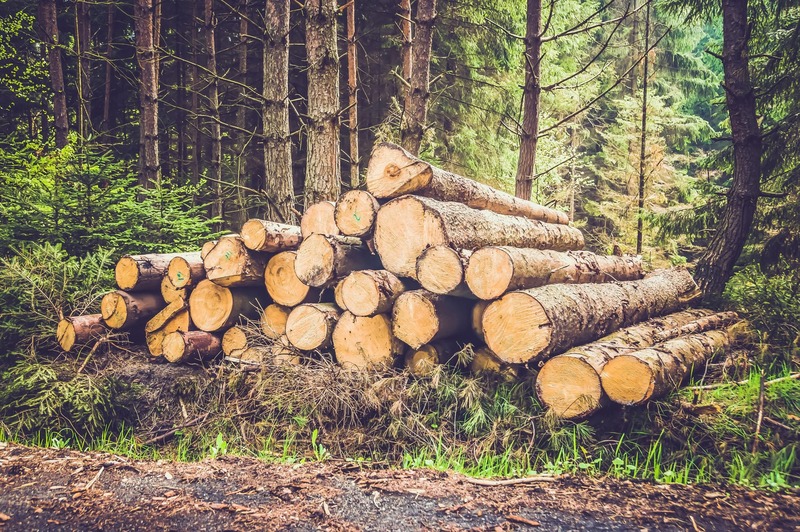 As it grows in very harsh conditions the wood gets its character from the nature. High in sap and slow growing it makes a perfect choice for cladding and decking. The heartwood is pale reddish-brown, sharply defined from the narrow, lighter-coloured sapwood. It has a straight grain, a fine, uniform texture and is heavy, weighing 590 kg/m3 when dried. 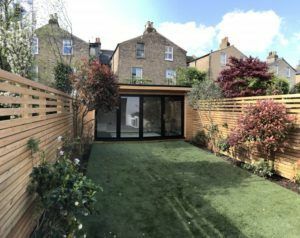 A Siberian Larch decking can be left to grey or be treated to keep its colour. Larch wood is very popular in Scandinavia as it greys really evenly and requires minimum maintenance. 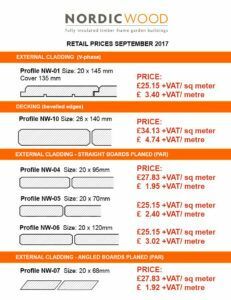 All our profiles are priced per square meter and are ex delivery. Please contact us for delivery charges as it depends on lengths and amount of wood as well as delivery address. 25% in trade discount for our approved trade customers. If you have any special requirements on specific lengths or profiles please contact us. Please note that these prices can change without notice due to exchange rates.